As we have spoken about and seen over the past few months, mortgage rates are back below 4 percent. Consumers’ confidence is reaching records among the nation’s guild of homebuilders. For the first time since 2005, builder sentiment, which is measured by the National Association of Homebuilders’ Housing Market Index, has reached an unheard level of 61. Today’s low mortgage rates combined with rising rents and an abundance of loan programs for buyers, with less than 20% down, have sparked a run on homes. Current homebuilders have said that foot traffic through their model units is on the rise and now they expecting sales over the next six months to be the strongest in 10 years. If you have been considering new construction, consider that the best deals you may get between now and 2016 may be the ones you see today. We have spoken of the Housing Market Index (HMI) in recent articles. This index is measured by surveys taken each month by the National Association of Homebuilders. The surveys help to reflect the attitudes about the nation’s single-family, new construction housing market. The index is very helpful to watch because homebuilders tend to be aware and witness the psychological changes of “Main Street” far before they are revealed to economists. There are plenty of examples of where the HMI hints at what is next for the U.S. housing market, with a great example coming exactly 10 years ago. In July of 2005, the housing market was expanding and values were rising quickly. Mortgage money was loose, as with loan underwriting. Builder confidence however, had slipped by dropping two points from the month prior. The following month, the confidence dropped three more points. Then in September it fell two more. By Christmas, confidence was down 21% from the peak. It was no surprise to the HMI that by April of 2006 the housing market downturn began. Builders had forecasted this via the confidence survey. Today’s HMI suggests that housing will continue to improve. A reading of 50 points represents about the midpoint between good and poor housing market conditions. This month the index cracked 60 for the third straight month. The HMI has not read above 60 for three straight months in 10 years. Builders are believing that today’s housing market is good with a huge demand from buyers, first-time and repeat builders, and generally low mortgage rates. Meanwhile, with builder confidence growing, buyers are likely to receive fewer concessions from the nation’s builders, including fewer price breaks on new homes, and fewer free upgrades on finishes and appliances. The NAHB Housing Market Index is a composite survey. It’s results are based on three distinct questions posed to homebuilder trade group members. Each question polls a separate facet of a homebuilder’s business and, for August 2015, each polled area was stronger as compared to earlier this year. Builders are selling more homes and demand for new homes is climbing. The monthly readings, as reported by the homebuilder trade group saw good movement in August. Current home sales activity is reading at 66, which is up 1 point from July. Home sales activity for the next six months is reading a 70, which matches the previous month of July. Buyer foot traffic made the largest move, reading in at 45, up 2 points from July. For today’s homebuyers, it’s the foot traffic reading, which may be most relevant. Current home sales activity and projected home sales activity are both near decade-long bests, and that’s because buyer demand is strong. So long as rents keep rising and mortgage rates stay low, there’s plenty of reason for today’s renters to explore the idea of homeownership. Many don’t know what a mortgage is, but they do know that rising rents are unsustainable. Foot traffic has been strong and steady dating back two years and, with low and no-down payment mortgages available to large numbers of today’s buyers, consumers are getting into homes with less than 20% down. Combined with a drop in FHA FICO score requirements, the pool of eligible buyers has increased. Demand for homes is rising and so is price competition. Prices are expected to climb through the end of 2015 and into 2016. 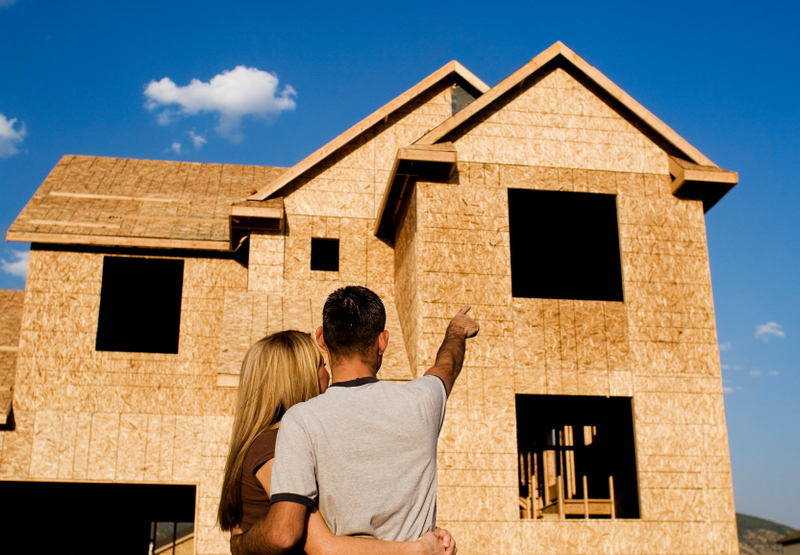 To today’s buyers, new construction homes can be appealing as are current mortgage rates. New homes are often built with the latest amenities and technologies and, because of low interest rates; new homes are often affordable, too.